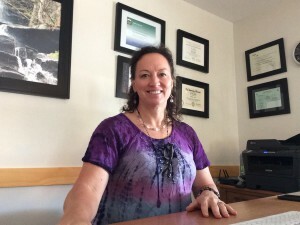 Terri Mayer Thomsen has been engaged in general psychotherapy including substance abuse treatment since receiving her Masters Degree in Counseling Psychology from Antioch New England Graduate School in 2000. She worked as a child care counselor at the Baird Center for Children and Families prior to obtaining her Masters Degree. She interned at the Act One Bridge Program, then completed a second internship at the University of Vermont Counseling Center. In 2003 she returned to work for the Act One Bridge Program as an Alcohol and Drug Counselor. She specializes in addictions counseling, trauma, anxiety, depression and eating disorders. She uses individual and group modalities coupled with a client centered psychodynamic approach encouraging clients to be active participants in their recovery and growth process. In 2006, she was trained as an Acupuncture Detoxification Specialist (ADS) by the National Acupuncture Detoxification Association (NADA). Currently Mrs. Thomsen is in private practice in Bristol Vermont.